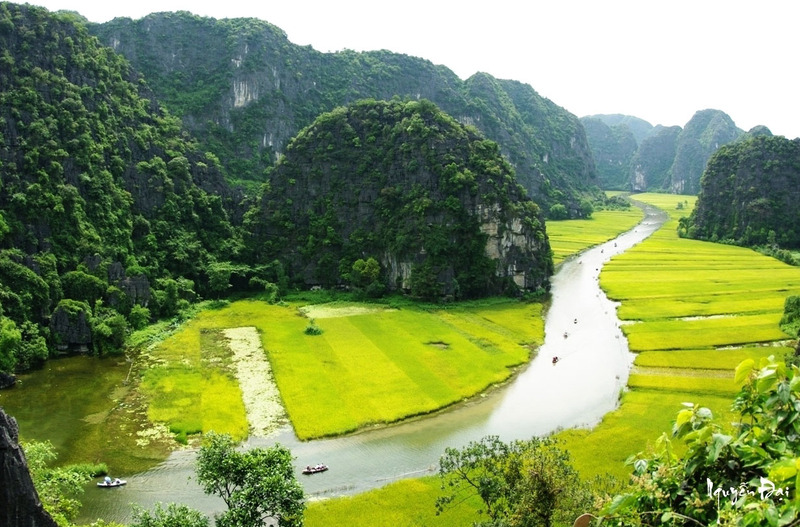 10.30: After arriving in Ninh Binh province, the guide takes you to visit Hoa Lu – the Ancient Royal capital of Viet Nam. We will visit Dinh king temple and Le king temple. in the 10th century, finding out the heroic histories of this two Kings in Chinese Wars. 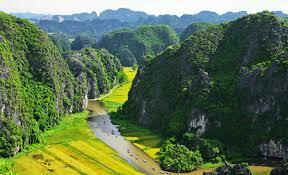 After that, we go to Tam Coc (10 km far from Hoa Lu). 10:30 – 12:00: Arrive in Buddha Prayer place in Bai Dinh Pagoda, the biggest pagoda in Vietnam with 500 La Han statues, biggest bronze Buddha statue in Vietnam with 10 meters in height, 100 tons in weight. 12:30 Have lunch in local restaurant with some local special dishes such as Goat meat with elderberry, pork …. 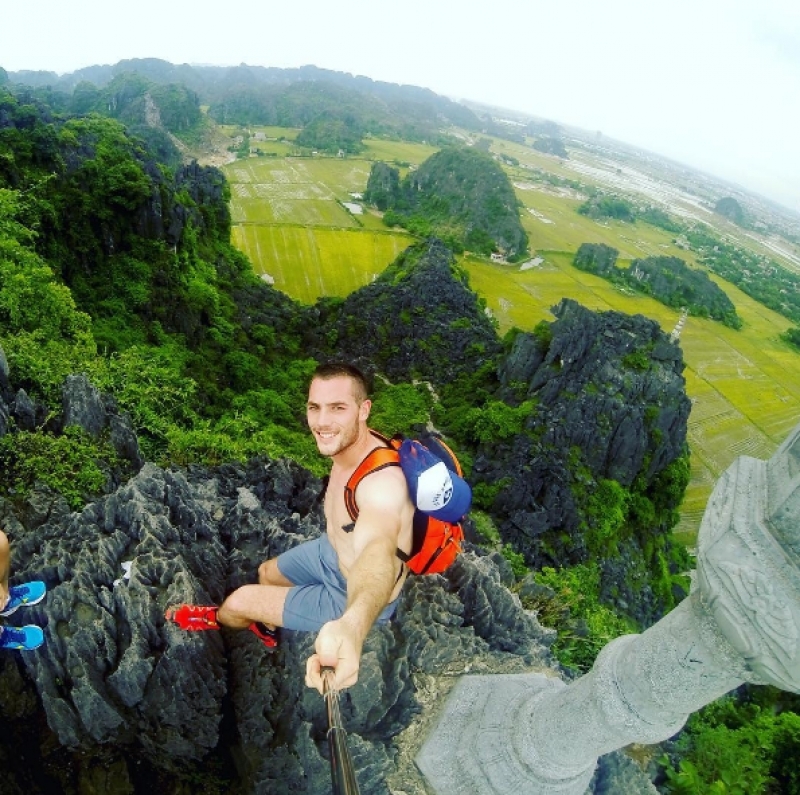 14:30 Depart to visit Trang An tourist attraction, take boat trip to visit cave complex: Sang Cave, Toi Cave, Ba Giot Cave, Nau Ruou in mystery and wildness, see scenery of mountain and rivers. 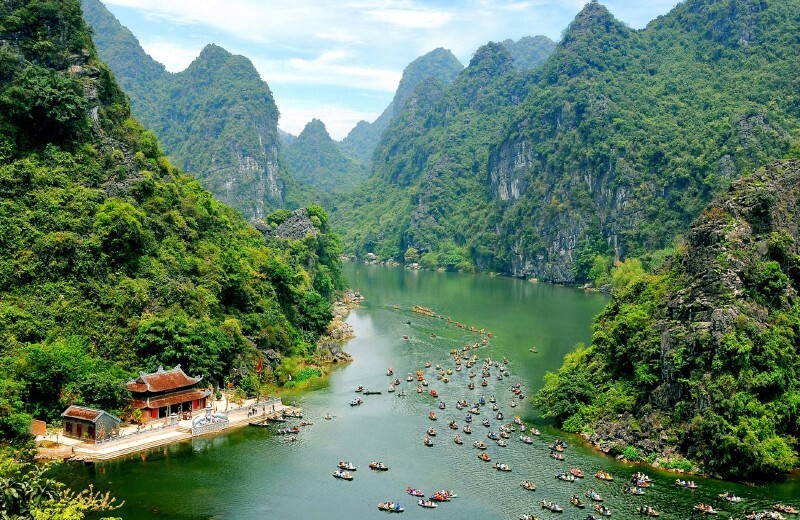 Trang An is considered as Ha Long on the land.